These are not lofty abstractions far removed from daily life. Every day, across the country, low-income Americans seek out their local legal aid programs funded by the Legal Services Corporation for help with civil matters that go to the very heart of their safety and security. A Marine stationed in Thailand, for example, sought assistance from the Legal Aid Society in Louisville, Ky., after a home he allowed his parents to buy in his name fell into foreclosure after his father lost his job. The Marine worried that the foreclosure could spark a revocation of his security clearance and result in his discharge. Through the help of the Legal Aid Society, the bank agreed to dismiss the foreclosure action. In Georgia, an elderly, “catastrophically disabled” veteran was living in an apartment and paying rent he could barely afford on his veteran’s benefits because he lacked the proper documentation to live in his mother’s house, which sat empty and decaying as she was living in a nursing home. Georgia Legal Services helped the veteran straighten out the documentation, convinced Georgia not to take the mother’s home, and the vet is now able to live in his mother’s house. After a deadly tornado devastated Joplin, Missouri, Legal Aid of Western Missouri, with an emergency grant from LSC of nearly $200,000, provided assistance to thousands of survivors in a wide variety of post-disaster legal matters, including fraud by clean-up and repair services, illegal evictions and rent gouging. A domestic violence victim in Louisiana sought help from Southeast Louisiana Legal Services Corporation in an appeal that allowed her to litigate custody in her refugee state rather than in Louisiana, where her abuser sued her. This case, one of first impression in Louisiana, established the right of Louisiana domestic violence victims to litigate custody in the refuge state and the power of the courts to decline jurisdiction in favor of the victim when it helps protect the victim and children from further abuse. Every day, the 134 LSC-funded legal aid programs across the country help thousands and thousands of people like this, but--because of a lack of sufficient resources—must turn away more than they can help. LSC-funded programs are not alone in being swamped with requests for civil legal assistance. State and local courts—especially housing and family courts—are overwhelmed with low-income individuals who are appearing without a lawyer. Much is at stake. Access to justice is essential in our democracy, and civil legal assistance provides important support for the orderly functioning of the civil justice system. More than 60 million Americans are eligible for LSC-funded services, living at or below 125 percent of the federal poverty line. Our ability to assure these individuals that the legal system works for them, too, continues their faith in our democracy. The current LSC Board has focused on the needs of clients and the resource constraints that affect the delivery of civil legal assistance. At our board meetings, we have convened panels to hear directly about challenges in the field and the many innovative ways our grantees are meeting those challenges. At each meeting, we have also held forums of state supreme court chief justices and other legal experts to hear first-hand testimony about how the crisis in civil legal assistance is affecting the court system and the many ways in which they are working together with our grantees to create help desks, on-line forms, and other collaborations to help ameliorate this crisis. And to make the most of every resource, we convened a national Pro Bono Task Force, whose report--which we are now implementing--recommends ways to expand the ranks of lawyers who are willing and able to do pro bono work and offers guidance on how to better match those lawyers with the growing unmet need. Our 11-member bipartisan Board was appointed by the President and confirmed by the U.S. Senate, and the members come from every region of the country. They are dedicated to improving the efficiency and effectiveness of LSC-funded programs and to championing innovations that enhance legal services provided to clients. You may read more about our members of the Board on the Board of Director’s web page. "Equal justice under law is not merely a caption on the facade of the Supreme Court building--it is perhaps the most inspiring ideal of our society. It is one of the ends for which our entire legal system exists…it is fundamental that justice should be the same, in substance and availability, without regard to economic status." Every day, legal aid attorneys across our nation can be counted on to pursue this ideal by ensuring that their clients are treated with fairness and dignity in the resolution of their civil legal problems and that low-income Americans have a place to turn for help in managing their civil legal needs. The work of LSC-funded programs has never been more important, and we thank them for the invaluable service they are performing on behalf of the nation. 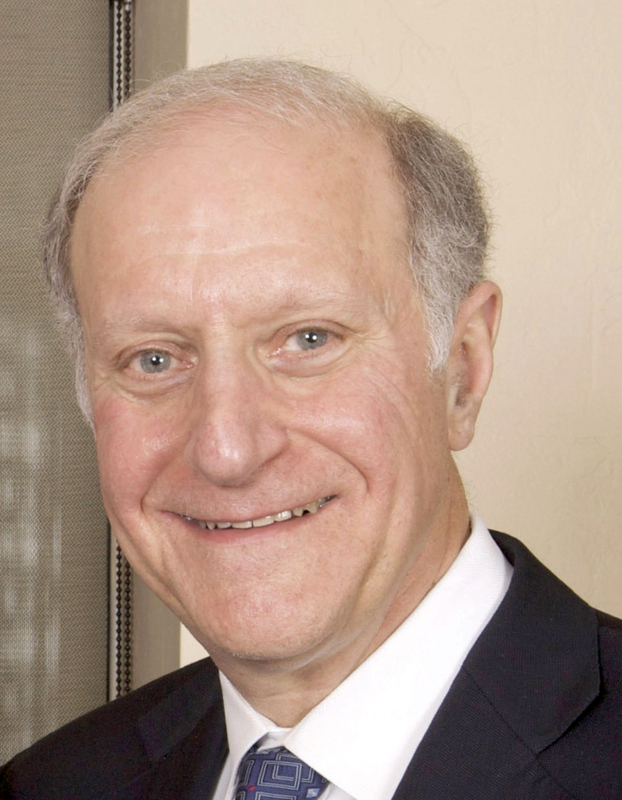 John G. Levi was nominated to serve on the Board of Directors of the Legal Services Corporation by President Barack Obama on August 6, 2009, and his nomination was confirmed by the U.S. Senate on March 19, 2010. He was elected Chairman of the LSC Board by his fellow Board members on April 7, 2010 and his re-nomination was confirmed by the Senate in December of 2014. Mr. Levi is a partner in the Chicago office of Sidley Austin, LLP. His practice focuses on employment litigation, executive compensation matters, and labor management relations. Mr. Levi represents corporate clients before numerous courts, agencies and arbitration forums. He also gives guidance on internal employment policies and governance. Mr. Levi is past chair of Sidley's Law School Recruiting Committee and heads the firm's committee overseeing its adopt-a-school programs. He has been involved in issues regarding juvenile justice and access to justice for many years, serving on the Board of the Cook County Justice for Children. Mr. Levi also serves on the Advisory Board for the Northwestern University Law School Center on Wrongful Convictions. He was President and a longtime Trustee of the Francis W. Parker School in Chicago, and in 2014 was honored by being made a Life Trustee of the School. He is the recipient of the 2004 Abraham Lincoln Marovitz "Lend A Hand" volunteer award, and was awarded an Honorary Diploma by the Parker School in 2003. Mr. Levi received the inaugural Mikva Challenge Corporate Citizenship Award for civic leadership to improve the lives of Chicago youth in 2011. Mr. Levi was elected in 2013 as a member of the American Academy of Arts & Sciences, and was recognized in the 2014 edition of The Best Lawyers in America in Labor Law Management and the Legal 500 U.S. 2013 for Labor and Employment. Mr. Levi received his B.A. with honors from the University of Rochester in 1969, and earned his J.D. in 1972 and LL.M. in 1973 from Harvard Law School.